A yacht caught fire during the early hours of the morning on Thursday at Port Rashid marina in Dubai, Dubai Police said on their official Twitter account. Dubai Civil Defence rushed to the scene and extinguished the blaze, believed to have begun at 7am. No injuries were reported and the yacht was unoccupied at time of the incident. In 2016, a $3.8 million yacht was destroyed when a fire engulfed the luxury vessel in Ras Al Khaimah. The 35-metre boat called ‘Moon’ sank into the water after attempts to extinguish the fire proved unsuccessful. 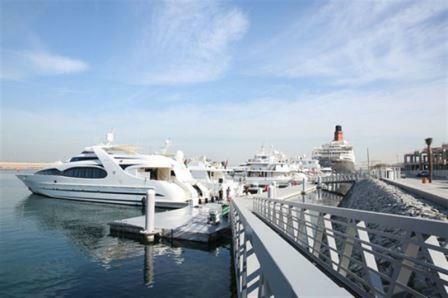 It had been moored at Al Hamra Marina when the fire started in its upper deck due to an electrical fault, according to the owner, who said he was relieved that the boat is insured.